Tonight, Thursday June 26, 2008 is the next San Francisco Cartoonist Conspiracy Jam. So grab your favorite drawing tools and head on down to the Church St. Café at 6:30 pm this Thursday and draw with us. We have had an amazing turn out with more and more folks coming all the time. So why not join us. The San Francisco jam meets on the second and last Thursday of each month at the Church St. Café from 6:30 pm to sometimes between 9 and 10 pm. 7000 BC will be represented at Wizard World Chicago 2008 on June 26-29 by Pete and Paul — native Chicagoans and creators of Fakin’ the Funk, set in their hometown. Look for their comic — and plenty of others from group members — at table 5022 in Artists Alley. 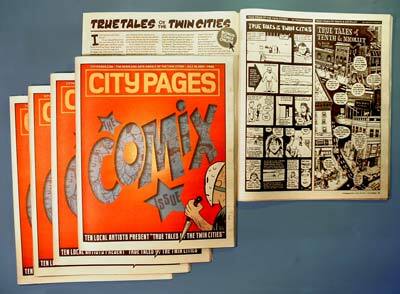 REMINDER: City Pages Comix Issue Deadline June 25th! Wanna be in City Pages’ upcoming Comix Issue? For all the submission info, DOWNLOAD THIS PDF. Entries are due JUNE 25, so get crackin’! Keep up with the monthly shenanigans of the little conspiracy cell that could, here. I need a cartoonist to help create a 4 panel cartoon for an advertising campaign. 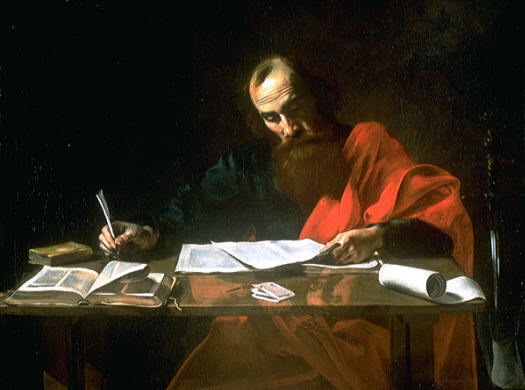 This will be done in the high drama fashion and style of either Mary Worth or Judge Parker (or as I like to call them ‘cartoon strips that take themselves too seriously’). This shouldn’t be too complicated and could have some terrific long term exposure value (street cred), for whatever that is worth. At the bare minimum, it is a $200 gig (exactly what Jim Rockford charges per day, plus expenses). Then we are on the same frequency. I was referred to you from another librarian who said you could help me plan an event. I co-facilitate a Teen Bookclub where we read manga and graphic novels. All of the teens involved are also budding cartoonists, and I thought it would be fun to host an event where they learn how to self-publish their graphic stories. i have a small budget to compensate a presenters’ time and buy some supplies for a hands-on workshop, $200 or $300 total. Is this the sort of thing you do, or do you know someone in the Twin Cities that does? I am hoping to act quickly on this. We need to submit all our events for Fall by July 1st. Now available for download  22 Minutes Until The End, the jam comic produced at the May 7000 BC meeting. For the first time, a time limit — two minutes per panel — was enforced. Tonight, Thursday June 12, 2008 is the next San Francisco Cartoonist Conspiracy Jam. So grab your favorite drawing tools and head on down to the Church St. Café at 6:30 pm this Thursday and draw with us. We have had an amazing turn out with more and more folks coming all the time. So why not join us. Finally, I have a silly contest of little consequence with silly prizes for anyone who is interested in dinner and a drawing. It ends on Friday because I’m traveling on Saturday.